As Google builds platforms like ARCore and Daydream VR that allow users to step into virtual worlds or put virtual scenes within their phone’s field-of-view, there’s a big responsibility on game developers to create the content that makes the platform worth checking out. 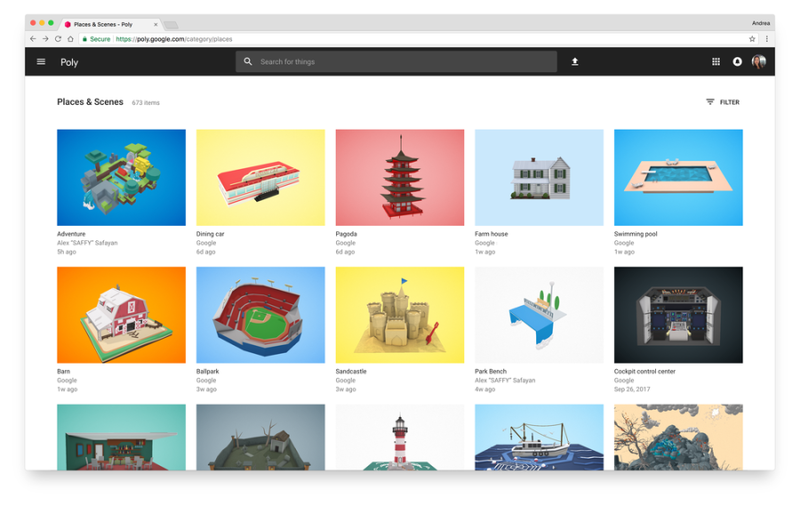 Google is look to build creators’ jobs a bit easier today with the launch of Poly as a 3D object library, the company’s new 3D objects library for creators on the World Wide Web. The new product dials in on Google’s mission to “organize the world’s information” and makes all in one place for users to browse 3D objects and scenes produced in the company’s virtual reality products like Tilt Brush and Blocks. The poly app was built with VR and phone-based AR platforms in mind. To begin users uploading content, Google bespoke artists to create thousands of objects, everything from an oven to an iceberg to a can of whipped cream so, that the platform starts with a bottom level of utility for creators. It’s an all-you-can-eat Creative Commons buffet as Google is now focused (for now at least) on build a discovery platform stocked with freebies than one filled with creators hocking their 3D objects for cash. Many of the objects you spot featured will have the low-polygon style that are memorable in Blocks, the company’s VR 3D object creation app. Google says this is moderately a stylistic choice, but it’s also a great fit for the Google’s Daydream VR platform which is frequently resource intensive and will apparently run more efficiently when the objects its rendering are a bit easier. Moves like this that position Google more steadily in the camp of game developers are fascinating for the company which has generally approached that community in a more round-concerning way. Here, Google is adding functionality set up in other places like the Unity and Unreal game engines’ asset stores, but is doing so in a way that seems to be very much preservative to the experience of game developers.